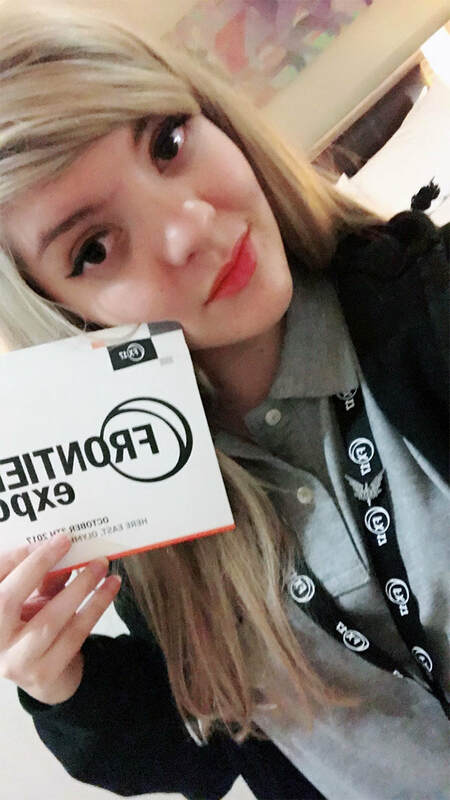 The day consisted of panels and talks from our dev team, special guests, content reveals and all of the other things you would expect at a convention, such as a merch stall, partner stands, streaming booths, goodie bags and an arcade of Frontier games. Those who bought the “Founder’s Passes” also got to have a Q&A session with games industry legend David Braben. Three experts gave insightful talks which link to themes in the current Frontier games. First up was Brendan Walker, who talked about the Art and Science of Thrill rides. Leading Astrobiologist, William Bains gave a presentation about the possibilities of alien life and last was Paleontologist John “Jack” Horner, (rumoured to be an inspiration for Jurassic Park’s Dr Alan Grant) talked about the possibility of a real Jurassic Park and some of his major discoveries. All of these talks can be watched on Frontier’s YouTube channel. The main content reveals were in the afternoon, closing the show. This announced new features coming to Elite Dangerous and Planet Coaster and the first in-game footage for Jurassic World Evolution. As well as doing marketing and communication emails, I was around on the show floor during the day. It was so great to see the different demographics of fans for the three games and to chat with them about the show. It’s been a long time since I’ve updated this blog! I want to get into the habit of posting frequent updates, and I thought I should start with a quick post about what I’ve been doing for the last three years. I took a break from the games industry after feeling burnt out from my work. Between 2012-2015, I moved house eight times between Norfolk, Dundee and London. I was constantly moving away from friends and family, overworked and constantly worried about money. This lifestyle suits some people, but it took its toll on me. I decided to try and shift my career to marketing, something I had been interested in since working on Tick Tock Toys. I re-trained, and worked at a wonderful marketing agency called Genie Goals. I became an email marketing specialist, a wonderful role for me, as it combines design, coding, strategy and copy writing. I’ve recently come back into the games industry working as the Email Marketing Manager for Frontier Developments - famous for Elite Dangerous and now making the upcoming Jurassic World: Evolution game. I never thought I would work for a big company like this, but it’s a wonderful environment with exciting projects. Everyday is different and I’m constantly learning new skills. 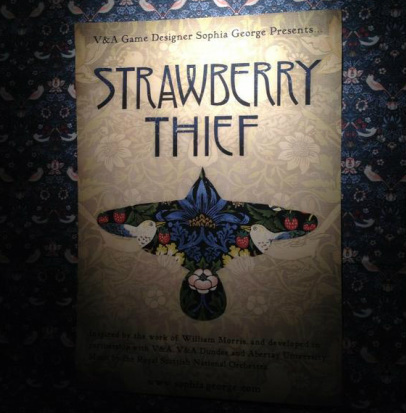 My latest game Strawberry thief has been featured in the V&A Dundee’s Design in Motion Exhibition. The gallery of work, featuring various forms of art and design takes place on the Travelling Gallery bus. Designers include Geoffrey Mann, Anarkik3D, Sara Robertson and Sarah Taylor, the Digital Design Studio, Lynne MacLachlan and fashion designer Holly Fulton, whose designs have been worn by Rihanna and featured in fashion magazines. 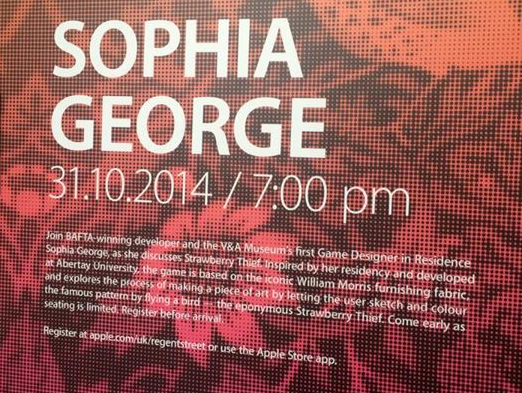 Inside the exhibition, visitors can play the Strawberry Thief game, as well as view sketches, prototypes, artwork and see a short film about the making of the game. One side of the bus has an illustration of the Strawberry Thief game that fades from the sketch into color, custom created by Ellen Brown. The bus is stopping at various locations in Scotland and will reach the V&A in London on June 21st. Below are some of my favourite pictures from the tour so far, taken from the V&A Dundee and Travelling Gallery Twitter accounts. You can learn more about the exhibition on the V&A Dundee website and downloading the Design Scotland App. Dundee Schools Project Part Two! During he past month, I returned to the schools I visited last year to see how their game design projects had developed. I am working with 20 different schools, so the designs have been showcased in many different ways depending on the schools. Of course there was no right or wrong way to approach the task, so it was especially interesting to me to see what the children had created and what they had learned. 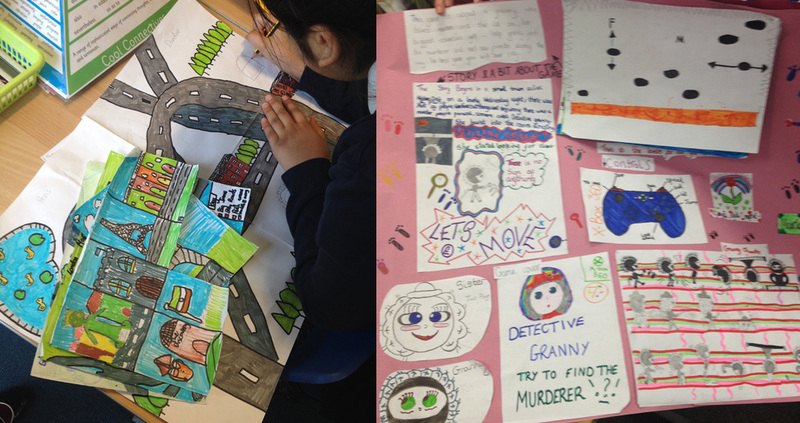 For my newest project, I have been working with Dundee City Council and Abertay University’s Outreach and Public Engagement Network to bring games art and design to Dundee’s Primary Schools. Although children play games, most of them have no idea how they are created. In my hour long lessons, I go over what goes into making digital games as well as the skills, roles and careers. When they are given the chance to come up with their initial game ideas, I suggest that they become inspired by things they are studying or inspirations. This has led to many games about rain forests and World War Two. 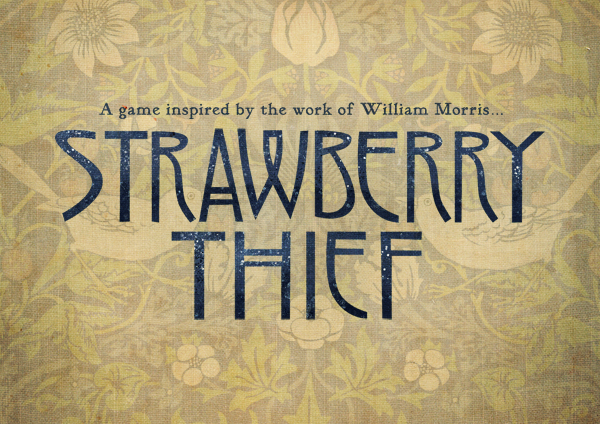 In order to get the children thinking about making a game based on inspirations, I show them my Strawberry Thief game, inspired by William Morris, and a few other games inspired by art, such as Monument Valley and The Cat That Got The Milk. Dundee has many active code clubs which often take place in schools at lunchtime or after school. These are great workshops which teach programming through programs like Scratch and Kodu. My workshops can run alongside these code clubs, as they are focused on art, design and creativity. I am very interested in the children telling their own stores through games design, and thinking aboutaesthetics and game feel. As well as this new project, I am at the early stages of a new game idea! Continuing on from my work at the V&A, I am keen to do another game inspired by famous British artists. I have decided to look at the work of Charles Rennie Mackintosh’s wife Margaret Macdonald, as well as the art of her sister Frances. I’m in the early stages of research at the moment, and look forward to sharing more info! My new iPad game Strawberry Thief is now available on the App Store here - AppStore.com/StrawberryThief. The game has had great coverage so far, being featured on websites like The Independent and Design Week. Tomorrow (October 24th) is the official launch of my new game Strawberry Thief for iPad. Please keep checking back here for updates on my launch activities! In the meantime, why not check out an interview with BBC Scotland's science correspondent Kenneth Macdonald where you can see some early footage of the game? My new game Strawberry Thief will be playable tomorrow at the Dare Protoplay Festival in the big tent outside Caird Hall in Dundee. This is the first time the game will be on display to the public! Dare Protoplay is a free event on 7-10th on August. There are over 40 games to see, as well as talks and contests. Take a look at the Dare Protoplay website to see all the events taking place over the next four days. We have recently added some exciting features to the game ready for Protoplay in a few weeks time. In the video you can see some of the new backgrounds for the game, and see how the levels transition. We have also added a new way to move the bird by simply drawing a line, although this still needs to her perfected.